I've been here a week, settled in and figured it's now probably time to start writing some blog posts. This little internet space is going to stay lifestyle-y, but it will definitely have more of a travel vibe on it now (hence the header). It just makes so much sense for me to write about what I love, and what I' gave up my life back in England to do. So back in August, I decided to leave my PR job in London, move back in with my parents, and spend a year saving up to travel for as long as possible around the world. Cue moving back home officially in September, and I realised living back with my parents in our Dorset town, wasn't necessarily the best option for me to save up money. So I started having a think, and low and behold, I applied for my current au pair position in Sydney, Australia. The thing is, travelling the world doesn't mean you have to put a backpack on and get the next flight out of there. You need money, you need insurance, you need to buy the necessary things to go with you, and yes that does make it expensive. But do I have enough money to travel and do everything I want to do already in my bank account? Absolutely not, so the best option for me was to utilise the skills I have through past work experience and hopefully later using my degree, and apply for jobs which would allow me to work my way around my trip. Not only does this mean I have an income, it also is a way to make friends in similar positions, and also means that for the next couple of years, my C.V. (resumé won't just be completely empty). 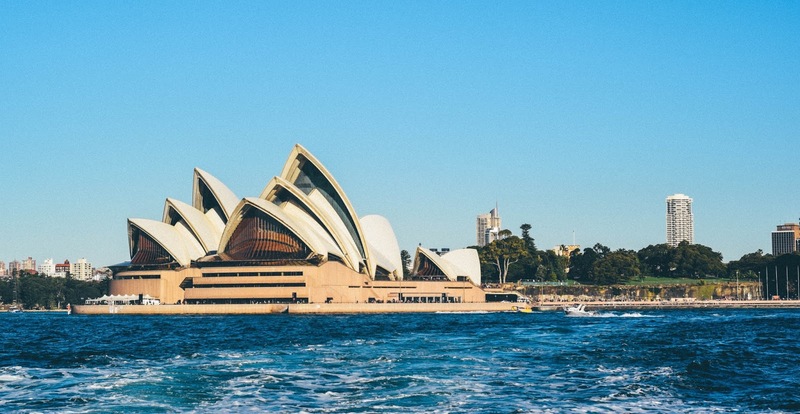 For most people, Australia is the perfect place to begin your trip, because anyone between 18-30 is allowed to apply for a Working Holiday Visa, which entitles you to work rights in Australia for up to 12 months, so long as you don't stay with an employer for longer than six months. If you want to extend your stay in Australia to 24 months, you need to spend 3 months working 'the land', for 88 days. Although this is hard work, often outdoors in the sun all day, it is also perfect for people looking to save up money, as there doesn't happen to be too many bars or Starbucks in the outback. This is what I'm looking at doing after my 5 months with my current au pair family and although I'm a little apprehensive, I think it'll be well worth it in the long run. Getting my two years visa also means I can come back and work all over again. New Zealand is a fair bit easier than its neighbour state when it comes to visas. Whilst you can only apply for a second year visa after spending time in NZ, you don't have to work the land, so to be honest, that is a HUGE plus for many people. Added to the fact NZ is one of the most beautiful countries in the world. For those of you who don't know after my first year in Australia, I am volunteering in Thailand for 6 months. Obviously volunteering isn't paid, but across Asia there are fabulous 'workaway' opportunities, where backpackers can work in exchange for food/accommodation at various hostels. Workaway schemes are used across every continents as it provides mutual benefits. Another very popular method of earning money whilst travelling, is by investing in a TEFL (teaching english as a foreign language) course. English doesn't need to be your native language, but you do have to be extremely confident with it. This is both a monetary and time investment as you need to rack up the hours to become a teacher, but once you've passed, you can use this skill all over the world, and I know Vietnam in particular is a very place for backpacking-teachers. If you're European, Europe is the perfect place to start your working-travels, because your EU status gives you working privileges. Essentially, you can work and live anywhere in Europe for an unrestricted time. If you're bilingual, this is perfect for those wanting to continue careers in particular areas, as you can take on temp work to fund your way around different cities. If you aren't from Europe, each country has their own visa rules. Currently, the UK has a Tier 5 Youth Mobility Scheme, which applies to countries outside of Europe and allows certain individuals to work for up to 24 months. This could be perfect for anyone wanting to save up money whilst living abroad, much the reversal of what I've done by coming to Australia. So the bad news is, for 99% of countries, it's almost impossible to get working holiday permissions in America. The GOOD news is, Trump is President so why would you want to go there when you could go to Canada, aka one of the most beautiful unspoiled countries in the world, which allows you to stay and work for up to 24 months!? China is a crazy country, beautiful and technological and, to a naive westerner like me, a little bit scary. Visas to work in China are possible, however, I'm under the impression it's much harder to work privately in China, for instance as an au pair, as the visa rules are extremely strict and can lead to imprisonment or deportation. Therefore, I'd advise using money previously saved from other countries to explore this amazing one in the safest possible way on a tourist visa. In some continents, such as Europe, there is much the same rules regarding visa entry and working holidays. However, continents such as Indonesia and South America have a huge variety of regulations for working holiday visas. South America does have a fantastic reputation for 'working away' often in hostels in exchange for accommodation or food, or even house/pet sitting. In countries such as Sri Lanka and Bali, volunteering for up to a month is very common and often backpackers can use tips to assist in their funding. However, the huge variety of states and visas within these continents stopped me from writing about them in too much detail. I hope you all have enjoyed the first step in Alice's Antics turning into a travel and lifestyle blog! I'm so excited for the next couple of years!